We continue our visit of Amsterdam that we started last week. We're still at the Museumplein, looking towards the Concert Hall. To the right of the concert hall we see a couple of buildings with beautiful gables, on the Van Baerlestraat (or Van Baerle Street). 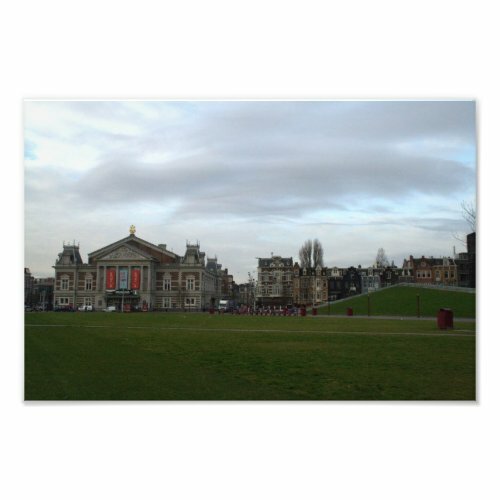 The lawn on the foreground is part of the Museumplein.